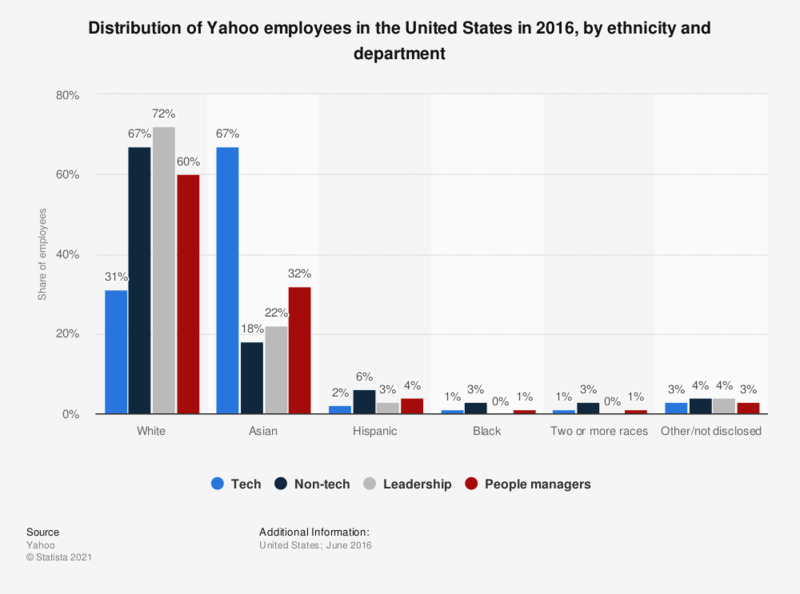 This statistic illustrates the distribution of Yahoo employees in the United States in 2016, sorted by ethnicity and department. In 2016, three percent of U.S. Yahoo leadership employees were of Hispanic ethnicity. The majority of employees were white. Leadership defined as VP’s and above.